In need of a reliable Maple Falls plumber? Get in touch with the dedicated professionals at Eagle Plumbing & Heating. Call us today at (360) 318-9999. Click here to save on several of our valued services. Many common plumbing problems in your home can be prevented through proper maintenance and regular service visits from the caring professionals at Eagle Plumbing & Heating. An undetected gas leak or water heater problem could put family members at serious risk, which is why it is important to ensure that any repair or replacement services are orchestrated in a timely fashion. Failing to rectify minor plumbing issues quickly can cause more serious complications. Our highly knowledgeable professionals make sure to educate our customers on signs that could indicate a potential problem, and are here to address any questions or concerns you may have regarding the plumbing systems in your home. 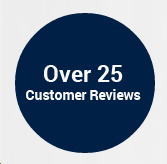 To read reviews for other customers in your area on the services we provide, click here. What are some signs that you need to repair or replace your gas line? Leaks: Even minor leaks can pose serious risks for you and your loved ones. Hissing noises and an unpleasant smell similar to that of rotten eggs can indicate the presence of a gas leak. Exposure: If your gas lines have been exposed to the natural elements they are likely to require professional services. Destructive weather can wear down your gas lines fairly quickly. During severe storms gas lines can potentially be uprooted. Uprooted lines are more vulnerable and usually have to be replaced. Corrosion: If your gas lines become corroded they need to be serviced by a certified professional as soon as possible in order to prevent more serious problems. Malfunctioning appliances: If you are experiencing a faulty connection with any major appliances in your home, your gas lines may require professional repair or replacement services. Dying vegetation: One of the easiest ways to spot a gas line problem is if you begin to notice dying vegetation concentrated in specific areas of your yard. Gas line problems are very serious and need to be attended to immediately. If you are experiencing any of these issues, contact our skilled professionals right away for prompt and reliable service. What are some signs that you need professional drain cleaning services? Recurring clogs. Debris and residue can accumulate in your pipes causing frequent clogs. Excessive clogging will eventually lead to your drains failing altogether. Multiple clogs: When several drains in your home become clogged at one time it will indicate the need for a thorough cleaning. Slow drainage: Sinks, showers, and tubs that are slow to clear out is commonly caused by a buildup of residue within your pipelines. As waste accumulates it can result in an extreme blockage that can only be remedied by professional drain cleaning services. Flooding: If there are issues with flooding in your home, this could be a sign that you have a serious drainage problem. Unpleasant odors: Sewage odors can be a major cause for concern and often indicates a blockage in your main line, which can only be removed through professional services. If you are experiencing any of these problems, contact the experts at Eagle Plumbing & Heating as soon as possible. We can ensure that the situation is taken care of, and offer our customers preventative methods to avoid future clogs. In many cases water heater problems can be remedied with simple repairs, but there are instances when replacing your entire unit becomes the better and more cost-effective option. If the water in your home is taking significantly longer to heat up, then it may be time to have your system replaced. If your water heater surpasses its estimated lifespan and repairs become more frequent the installation of a newer and more efficient unit becomes a viable course of action. A sudden increase in your utility bills with no changes in consumption levels could indicate a serious problem with your water heater. Signs like rust and corrosion around the relief valves and the connections may indicate that your unit is severely damaged. If your system has a leak or is no longer producing hot water these can be signs of serious internal problems within your water heater, which will warrant the need for replacement services. Water tank leaks are considered a plumbing emergency that needs to be handled right away. The certified professionals at Eagle Plumbing & Heating can inspect your water heater and determine what is causing the problem. The severity of the issue will be the deciding factor on whether the situation can be resolved by repairing certain components, or if a brand-new unit needs to be installed. If installation services are necessary our knowledgeable staff can help you to choose an efficient model tailored to the specific needs of you and your home. For specialized plumbing services in and around Maple Falls, contact the trusted professionals at Eagle Plumbing & Heating. Call us today at (360) 318-9999.